The Massey Shaw is one of London’s un-sung heroes on the Thames. 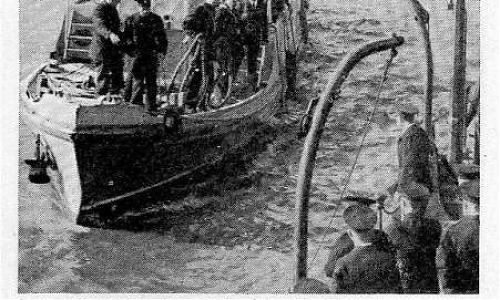 Built in 1935, the fireboat served the London Fire Brigade for many years and also took part in the WWII Operation Dynamo to rescue soldiers from the beaches at Dunkirk. 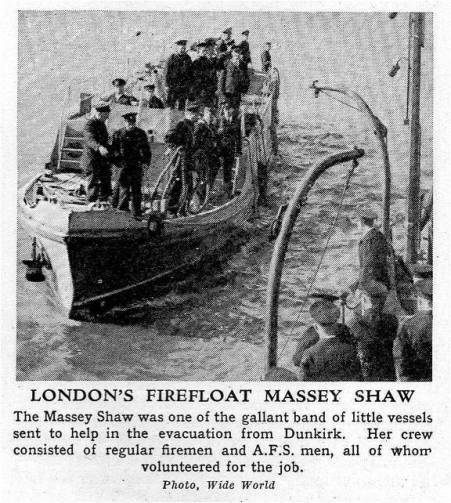 The Massey Shaw ferried 500 men to the warships and bought over 100 men back to England. In June 2013 the Massey Shaw will return to London by sea, after restoration in Gloucester. You can learn about the voyage home or find out more information about the vessel, including volunteering opportunities by visiting the project website here.